Many marine species continue to face a growing risk of extinction as man-made threats to their survival grow, but a new study has offered hope for many of them who have been protected under the Endangered Species Act (ESA). Since it went into effect in 1973, the ESA has become one of the strongest laws protecting biodiversity in the world, and where it’s been used to its full extent, it’s had a 99 percent success rate in preventing extinctions, in addition to helping species at risk recover. Under it, species can be listed as endangered or threatened, which should trigger tailored conservation measures, the creation of a recovery plan, the designation of critical habitat and an increase in funding for protection. While researchers have assessed its effectiveness of the ESA in the past, there hasn’t been a lot of analysis on recovery trends for marine species. To fill in the knowledge gap, researchers from the Center for Biological Diversity looked at population trends, population trajectories and recovery status of 23 populations of 14 marine mammal species and eight populations of five species of sea turtles, who make up 38 percent of all marine species protected under the ESA before 2012. According to the findings, which were just published in the journal PLOS ONE, the ESA has been incredibly successful. Since being protected, 78 percent of marine mammals and 75 percent of sea turtles increased their population size. The only species to decline were Hawaiian monk seals and southern resident killer whales. 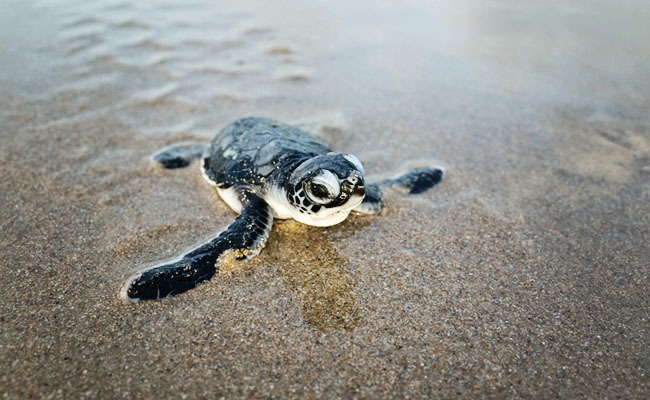 Some of the species who have especially benefited include green sea turtles who were protected in 1978. They’ve since increased from 464 nests on Florida beaches in 1989 to 39,000 in 2017. Eastern Steller sea lions living on the Pacific coast grew from 19,103 in 1990 to 59,968 by 2013. Southern sea otters along California’s coast who were once devastated by the fur trade have also grown from 1,443 in 1979 to 2,688 as of 2017, while Hawaiian humpback whales have increased from just 800 individuals in 1979 to more than 10,000 in 2005. They were officially declared recovered in 2016 and delisted. Despite its successes, and broad public support for maintaining it, it’s still continued to face an onslaught of attacks in recent years that put it at risk of being weakened in ways that would make it harder to list new species at risk, protect species impacted by climate change, designate critical habitat and protect threatened species. Hopefully this study will help increase support for maintaining it, and implementing it effectively, to keep imperiled species from disappearing forever. It's the Republicans who continue to viciously attack the ESA. Republicans are Trump cultists now, so they should be called Trumpanzees instead of Republicans, as a Trump follower is a synonym for pure evil. They not only want to commit genocide they're trying to kill all life on Earth. Except for the chemical pollution and the trillions of pieces of plastic in the ocean, which criminal corporations are responsible for and which marine mammals, fish and birds ingest.. and the deoxygenation and acidification of oceans because of the billions of tons of CO2 being pumped into the atmosphere yearly. Coral reefs where 80% of the ocean species call home are dying. Marine mammals and all life in the ocean are still under serious threat from the human virus. This is definitely encouraging news, and shows why we need laws such as the Endangered Species Act. We as a species may yet redeem ourselves. They are protected at last. And it works! Thank you for sharing! Great news!! Let's hope these animals can continue to survive with Trump in the White House. He seems determined to kill off all wildlife.